Jaded Blossom: Guest Designer Sarah! hahaha!!! love it !!! great work ! Oh this is just so fun - love it. Wow - love love love them! 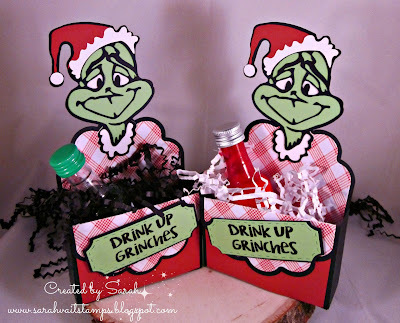 Haha...cute as can be....thanks for the link to me on my grinch svg. This is too funny!! Love it, great job!!! Super fun for all those holiday Grinches! OMG, Love the Grinch! These are just wonderful. SOOO flipping cute!!! Love that stamp set!!!! 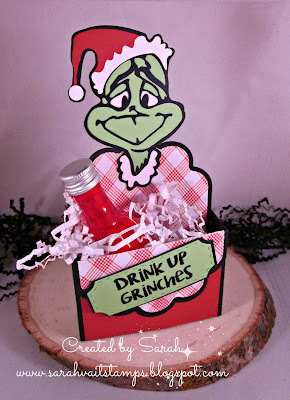 LOVE the Grinch!